Buying a property in a foreign country can be a very exciting and at the same time daunting period for many people this is why we explain it here within these simple easy steps . Remember we as your local Turkish property estate agent are acting on your behalf and will be there to provide you with our full services throughout each step of they way to owning your new home in Turkey and beyond your expectations of us . From your inital contact enquiry with us we shall chat through all your requirements and budgets , based on this selecting a few suitable properties options together we set our date to meet and arrange the viewings appointment . We like this part of the process to be enjoyable, ultimatley satisfiying and informative sharing our knowledge on the areas as well our our property portfolio with you. Having found that right Turkish property for you we need to secure the property with a reservation and deposit . The fee is ususally 20-30% of the purchase price , the exact figure will be confirmed with the current house owner or builder at the time of purchase. The deposit is paid with receipt given and written into sales contract . A sales contract is clearly written up between the buyer and saler this will include all details including agreed property selling price , deposit paid any installment payments date of transfer of title deed . 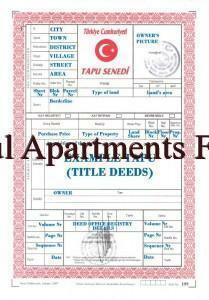 We shall require from you two passport port size photographs of the person/s name/s whom will present on the property title deed plus full photocopy of passport/s. 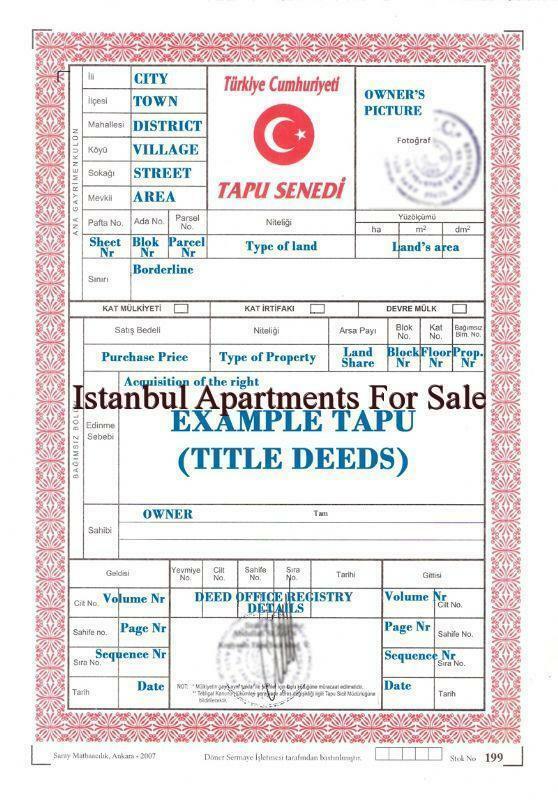 If you cannot be present in Turkey at the time when the title deed transaction is due to take place , you will need to sign a document at the local Notarys office giving your agent or solicitor the power of Attorney for the property , not for money.Please find info about how to grant power of attorney in Istanbul Turkey . This enables the agent or solicitor of your choice to continue following the procedure and obtaining the title deed in your absence to be kept safe until your next visit to Turkey . New law in 2014 states that if the property you are purchasing has already been granted military approval after May 2011 or if within the development you are buying in has previous foreign owners the approval is granted within a matter of days . When the Military clearance has been approved, the property title deeds are re-issued into the new owners name and forwarded back to the local Land registration office whom will contact your agent. At this point the last payments must be made to the seller or builder. The purchase Tax must also be paid prior to the hand over of your property deed if you have given P.O.A then your agent or solicitor will collect on your behalf and save until your pending return to Turkey.